At around 19:00 the company was dispatched to N. Lansdowne Av. and E. Baltimore Av. for a vehicle fire. 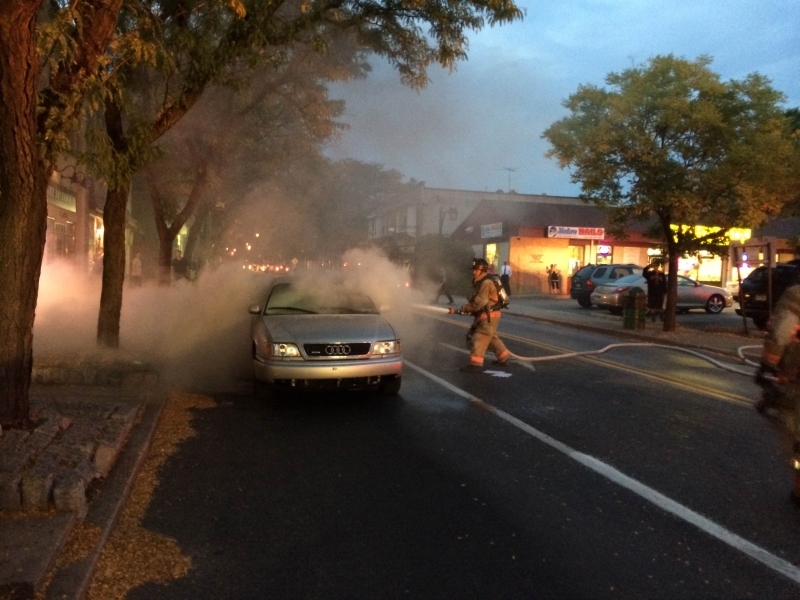 Engine 19 quickly responded with a crew of 4 to find a sedan with a fire in the passenger compartment. Engine 19's nozzle man made quick work of the fire while the control man and officer opened up. Pipeline 19 also made the response with a crew of 6.